Wow! That was one intense weekend! Four games, four wins! Eurocup´19 champions! This is what we work for, this is for all the hard work back home. Thank you so so much for all the support in the venue and back home. It means so much to us! And thank you Rainy City for hosting such a great tournament again. Epic! CALLING ALL NEW SKATERS FOR 2019! 25 January, 2019 / admin / Comments Off on CALLING ALL NEW SKATERS FOR 2019! 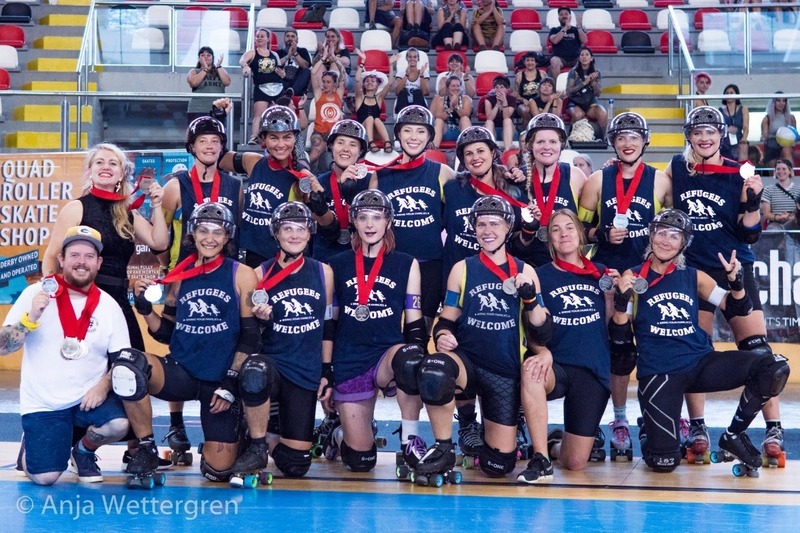 Feeling curious about roller derby? Interested in trying it out yourself? 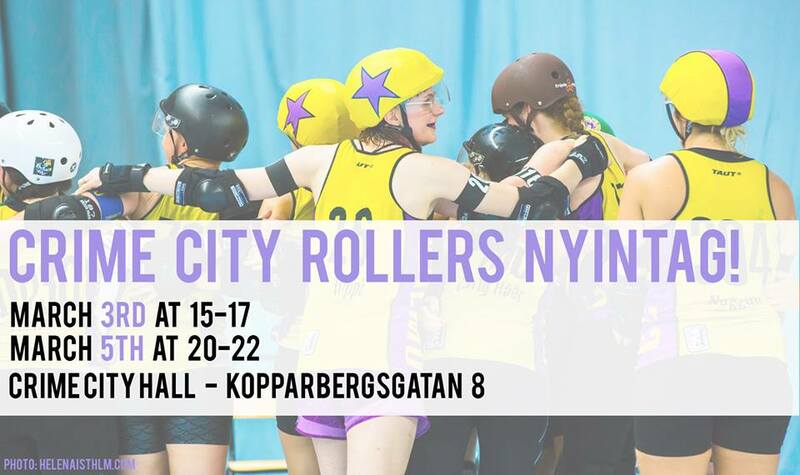 Fantastic, because we are now looking for new players and officials (referees & non-skating officials) for the best roller derby league in Sweden, Crime City Rollers! In September 2018 we will have two occasions for intake where everyone is welcome. We will give a short introduction to the sport, and you can try what it’s like to skate. – Our training hall is located at Kopparbergsgatan 8, with the entrance next to the climbing center. – Please see that you come on time so that we can start as soon as possible! We have skates and protection for you to borrow, but as the quantities are limited we might have to take turns in skating in case we are many. If you want to bring your own equipment, any roller skates with 2+2 wheels will do. The protection needed are elbow pads, knee pads, wrist pads and a skating or hockey helmet. You won’t need a mouth guard for these occasions, but later on you will need one for all the trainings. If you are very excited about getting your derby career rolling, you are very welcome to join us for both of these occasions. In that case you will however let those who are trying out derby for the first time test before you if there is a shortage of equipment! Comfortable clothing, but keep in mind that you will have knee, elbow and wrist protection and therefore can’t have too big or baggy clothes. Don’t forget your water bottle! If you want to start training with us you will pay a quarterly training fee and a yearly membership fee. The training fee for you who are new is free for Q1 (march through), 450 SEK for Q2 and then you’ll pay the regular training fee of 600 SEK / quarter. The membership fee for 2019 is 360 SEK. You can train derby with us twice a week as a beginner (same times as the intakes), plus open skate which is open for the public each Wednesday 5 pm-7 pm. Roller derby is a sport where there is space for everyone regardless of age, size or earlier background in sports. 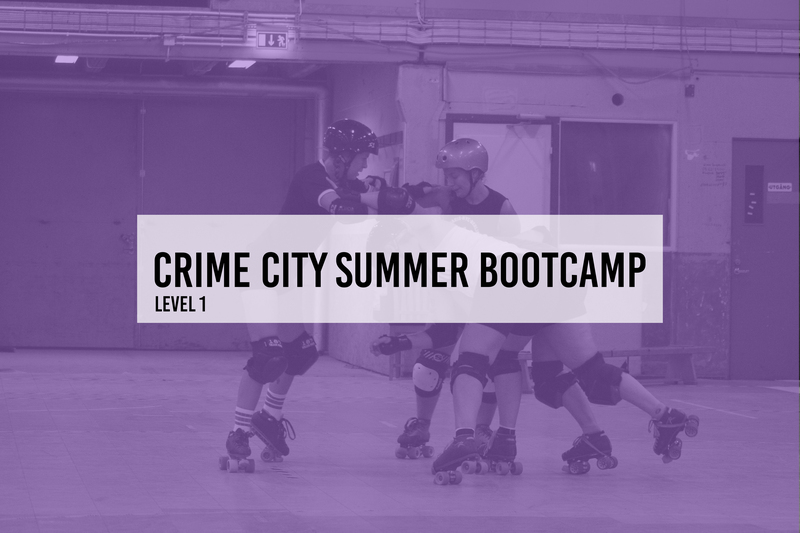 Crime City Rollers welcomes everyone to skate as a beginner regardless of gender. The players in our teams are women/non-binary people/trans people. Cis-men can take part in our association and in the sport for example as officials (referees & non-skating officials). This event is open for everyone over the age of 16. If you are younger, check out our junior group Crime City Rollers – Candysnatchers. We are part of the Swedish Skating Association (SSF) and everyone taking part in our intakes is insured. We are also members of the WFTDA, the international umbrella organization for our sport. We are looking forward to meeting you – this could be the beginning of your new fantastic derby life! Help Crime City get to Champs! 19 October, 2018 / admin / Comments Off on Help Crime City get to Champs! 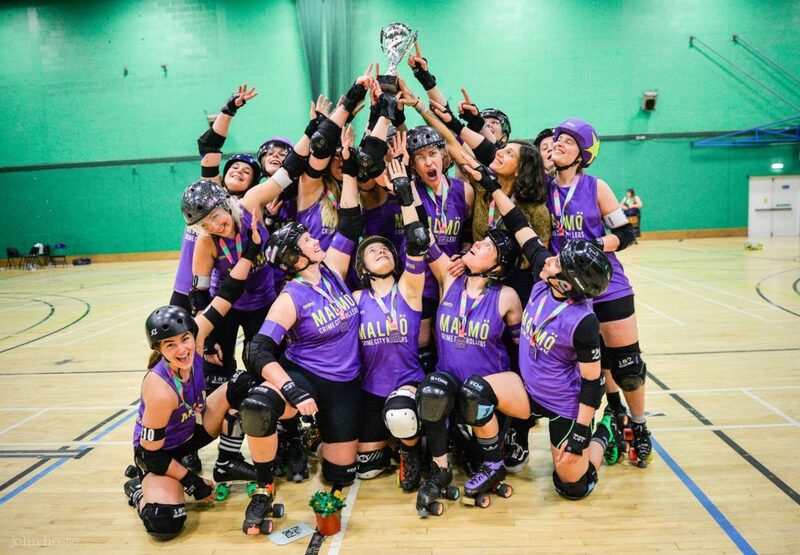 Crime City Rollers has worked really hard all year to reach our main goal for 2018 – qualifying for Championships. At Playoffs our dedication paid off – we took the silver and earned a place at Champs! We are currently ranked #10 in the world, have a better seed for Champs than last year, and are the only European team to play there this year! But we’re not there yet, and playing this amazing sport is expensive. We’ve invested so much time and money to get to where we are today, and now we ask you to help us with that final push to New Orleans. Your contributions for this journey will make it possible for us to keep doing what we love and what we do best – play top level roller derby. Friends and fans across the globe, please support us with any amount, no donation is to small! Last chance to see our A-team at home before champs! 19 October, 2018 / admin / Comments Off on Last chance to see our A-team at home before champs! On Saturday 27 October, the Crime City Rollers A-team has the absolute luxury to meet our most beloved opponents in Helsinki Roller Derby All-stars in our own home venue. You can find more information about the event on Facebook – and buy your tickets in advance through this link. Remember: there is a limited number of seats in our venue!